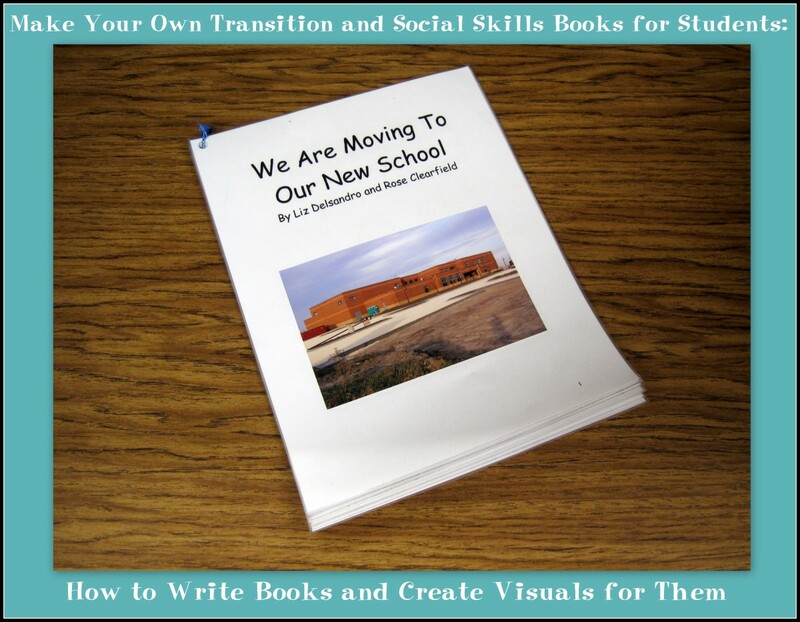 LaDena is a special education teacher that loves to write. She writes about things that interest her and things she loves! As I was Hub Hopping, I came across a hub from Froggy213 entitled “Training The Slaves”. (You should read it...) It struck a nerve in me and led me to leave a long and ranting comment. Here is what I wrote to him - and I have added some more. Hope you enjoy! When my grandmother graduated eighth grade she took a test to become a teacher. I saw it once and it was fairly simple. Basically, if you knew reading, math, geography and history, you could pass it. Of course, she passed and until she met and married her husband, she taught in a one room school in the boonies of Arkansas. She taught children aged 5 through 15 or 16. Some were a little older. She didn't teach kindergarten, first, second and so on grades. She taught children by ability. If there was a ten year old and a five year old at the same ability level they were taught the same. She was also allowed to teach the children in the ways she thought were best - she didn't have to follow a specified curriculum and didn't have to teach a subject for ninety minutes and follow what someone told her to. She taught as long as the subject needed to be taught. And she taught the way that best fit each child. 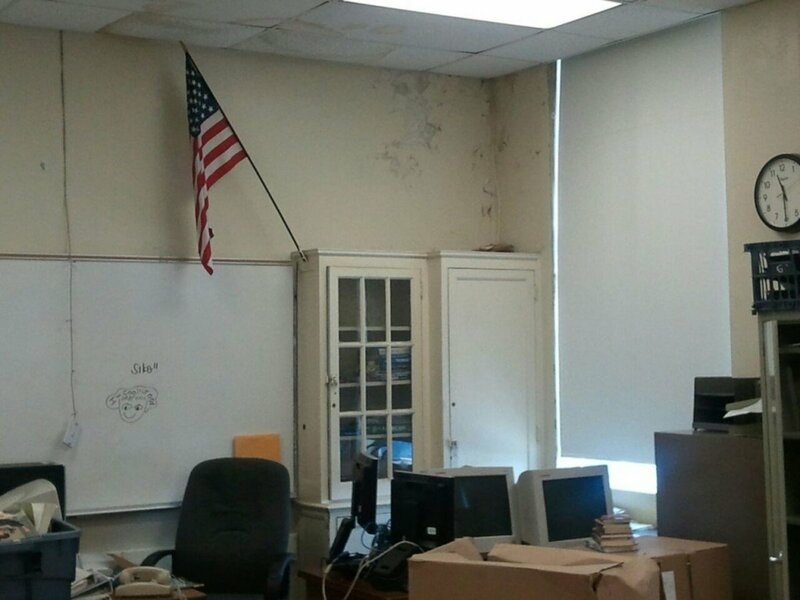 She was also allowed to let the older students help the younger ones, and was able to create a family style classroom. The students she taught all passed their courses because they knew the subject, not because they were given an easy grade because a parent threatened the teacher. Sports and music and art were all a part of the school year, but it was made plain that academics came first and were most important. In the years she taught, only two students quit school. Both were young men who had to help take care of the family farms. They didn't give up because things got too tough at school - they quit because they were needed more at home. In the district I teach in today, we have a specified curriculum for reading and math. We have to follow this curriculum just as it is written and just when we are told to do it. Lesson one is taught on day one and at a specific time of the school day and of the school year. Everyone in the district that teaches the same grade should be on the same lesson at the same time each day. Social studies, history, and science are supposed to be integrated into reading somehow - again without altering the curriculum. If we alter the schedule at all, we are given a lecture about it. This is done because there is great mobility in our district and the suits in charge say that when a student moves from one school to another in the district, they will not have missed out on anything. Which, as a reason, is a good one. I moved around so much as a child that this would have been nice for me. However, I am a special education teacher and am still expected to teach the curriculum in the same way. My students are at least two grade levels behind their peers in the regular education classroom. They have learning disabilities in reading, writing or math. Some have disabilities in more than one subject and others have difficulties in every area. Our curriculum gives one 90 minute lesson to teach a certain concept in reading. My students can sometimes take 90 minutes just to get their supplies together and put their names on the paper. Some of my students do not know letters and sounds, but are expected to know story elements and comprehension. The curriculum does not fit my students and my students do not fit the curriculum, but the higher ups come to observe in my classroom and wonder why I am only on lesson six on day twelve. Of course, they don't stay long enough to see where the ability level of my students is. They just leave written notes saying things like "not on the correct lesson" and "three students were not in their seats during the lesson - one was standing, one on his knees and one was actually sitting in the teacher's lap!" It was obvious that these "officials" had never been in a special education classroom and had never worked with children with special needs! My dream as a teacher is to one day have a school of my own just like the one my grandmother taught in. I am not sure that it would go over very well, because parents nowadays don't want their children to have to think or work hard for themselves...but maybe there would be enough parents who truly want their children to become working members of society and be willing to give the school a chance. 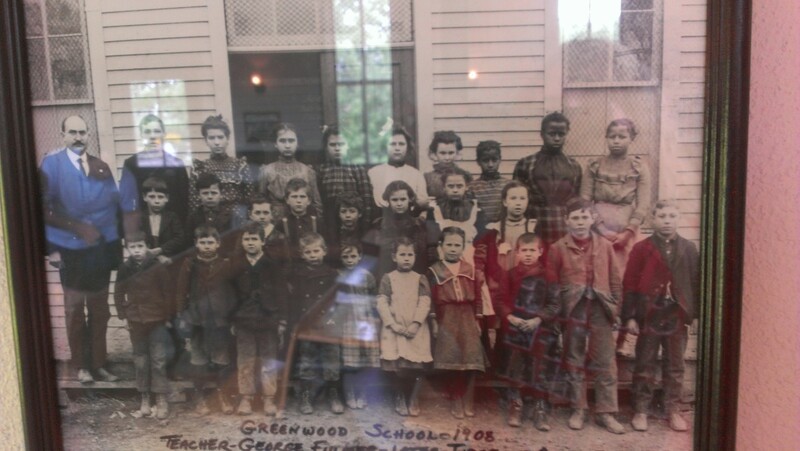 In my "one room" school there would be students from ages five through eighteen. Children with special needs and children with behavioral needs that are not always welcomed in regular education classrooms, would be welcomed with open arms. In my school, I would teach a concept until it was understood. If the group understood the concept in half an hour, we would move one. If it took three hours - or three days to understand the concept, we would take the extra time. 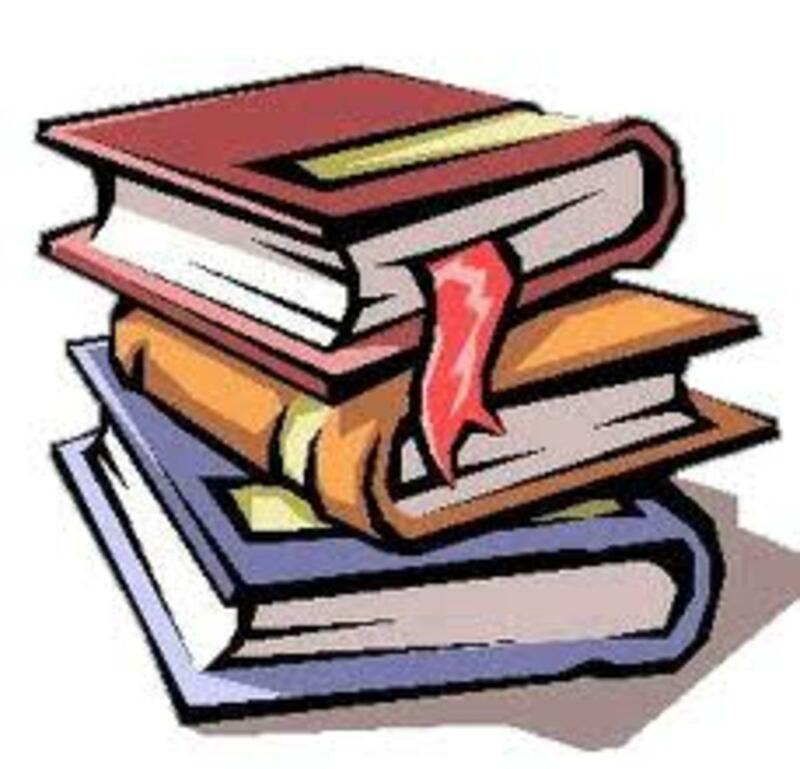 Reading for understanding would be taught, and math concepts would be taught until it was thoroughly understood and could be taught by the student. In my school, we could read a novel one day and a picture book the next, as long as it could help teach the concept. Reading would be an activity that students wanted to do, and not a chore they had to do. There would be puppet shows and plays and reader's theater to encourage the love of reading. In my school, math would also be fun. 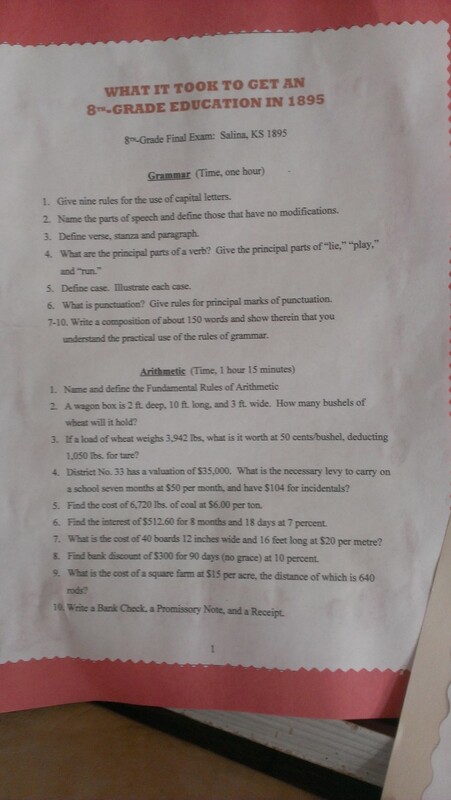 Math would be used for real life applications, such as learning about money by being "paid" for class chores and having to "pay" fines for not doing assignments or for treating others badly. They would learn measurement and geometry by building things in the classroom - birdhouses, boxes or other small projects. In my school, older children would be able to help the younger children and students would be grouped by ability level. If an eight year old and a ten year old were having the same difficulties with a concept, they would be in a group together - perhaps with another student who knew the concept well enough to teach - in a child's words - the concept. In my school, students would get along with one another and take care of one another. Bullies would be taken care of with natural consequences and with special lessons about how bullying hurts their school family. Students would be allowed to have fun while learning. Songs would be sung and games would be played all in an effort to help students learn in ways that are best for them. In my school, students would love to come to school and not want to stay home to play video games and watch television. They would be excited about learning and couldn't wait to see what exciting thing we would do the next school day. In my school, parents would appreciate the teachers and the school itself. They would allow their children to be taught about respect, responsibility and resourcefulness. Parents would help their children with homework and not do it for them. One of these days, my school will be a reality. Hopefully, "my" school will start a movement across the United States and children will be taught so that they may learn, and not just so they can pass a test. I was blown away by your hub. It was like you crawled into my brain and wrote down what I think about education. I am a retired special education teacher. I taught 6,7,and 8th grade in a self contained class. 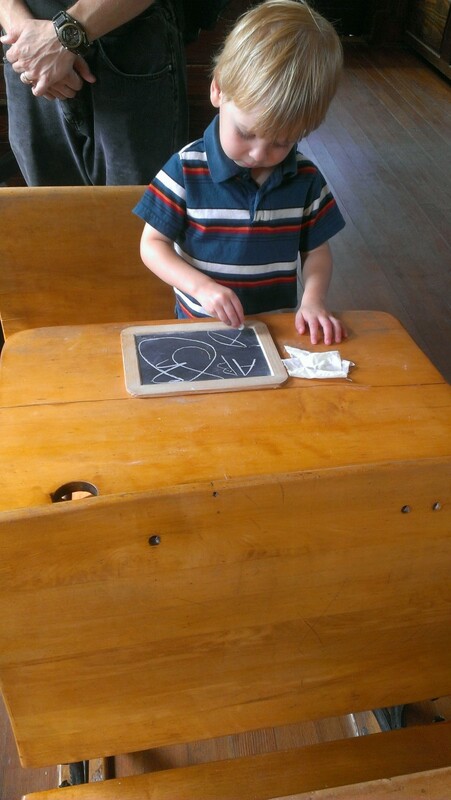 Each child is at a different level, with different ways of learning, some visual, some auditory, and so forth. I fought constantly to be able to run the classroom so that the children could learn at their own speed and level. Excellent hub. Steve - thanks for reading! I would have loved your storefront school! That is exactly the kind of school I am talking about - but for all ages! Glad your back at Hubpages - can't wait to read more from you! Reading this post got me thinking about a couple of things. We were told during one of my post-graduate courses that the average high-school today, apart from the mandated curriculum, is really just a collection of one-room schoolhouses. Everyone scurries into their classrooms, shuts the door and does their own thing for a required amount of time and then all students move to another one! My last few years teaching were spent teaching an alternate program in a one-room storefront school. I loved it! Everybody worked at their own pace, there was no rush to complete anything until it was known well enough to write the test and most students were working on different subjects. Of course, everyone tried to complete their courses by the end of the year, but if not, they picked up where they left off when they returned the following school year. PS Now I have recently retired and returned to Hubpages after a long absence because life just became too busy. I look forward to getting back into writing and reading again. I like your school. It sounds like the start of education explosion. When concepts are grasped its great especially if the room follows everything clearly in one fell swoop. Great article. Ausseye - thanks for reading! First of all I would LOVE to come Tasmania to teach! It's on my bucket list! Maybe one of these days! And maybe a perfect place to do my one room school! Don't know when and where I will be able to do this, but I will do it....thanks for your input! What a great school……can I come?? Grew up in a school just like you described in Tasmania West Coast, had all of 16 kids across all the grades and yep we helped cause the teacher allowed it and the other kids loved the peer brotherhood and sisterhood. We grew together both in and out of the classroom, had a ball exploring the everything , the young at heart. Boy it was a great place to grow up and experience the world. And then my parents sent me to a private boarding school, wasn’t bad but not a patch on the other experience, they were just trying to do the right thing by us. Both worlds were ok but the original was just fantastic, mind you we did get a few lousy teachers….a new one about every 2-3 years. So love your school and its teacher. Yep also why I left teaching, couldn’t stand the regimentation after my defence experience…..became a lecturer instead where you had the freedom you talked about ( a little of it anyway) and you taught as you saw fit and what you students need appeared to be, it was a great experience and I loved every moment of it. But alas the regimentation came there too, needed to get students through even thought they were not up to it…(at their particular stage) sure time would have fixed it….but students bottom’s on seats was all the administrators were into…..they engineered a disaster to happen in Engineering. So as you can see it all comes to a regimental end. Freedom the teacher cried, my soul for freedom and a better place in the ranks of education. Loved your awesome description of life, something to teach about &:-@. Where are we going to build your one room school??? Come to Tassie, we still have wood to do it!!! Maybe even keep the regi-lamingtons at bay, loose them in the forests somewhere. Tullah was the pace were my experience happened, now a lake but was a silver-lead mine…..lead in hand but not in nature…Thank the stars it was not absorbent and we didn’t get lead poisoning and my kids are ok tooooo. Ghost32 - thanks for reading! I'm thinking that once I retire I might have the time and some of the money I need to get this started. I LOVE the idea of using an old house to start something like this!!! My grandmother also taught in a one room school, in Ovando, Montana. Of course, it was different on my mother's side of the family. Mom taught high school English in a larger (Oregon) school, and her Dad (who passed before I was born) had once been head of the English. department at the U of Oregon in Eugene. So you could say my family tree pretty much covered the bases. The rigid curriculum you describe currently is downright horrific. Hang in there; you'll get your one room school (full time not just summer school) yet. When I was living in southeastern South Dakota, a small group of determined parents founded a charter school just outside of Vermillion in a huge old 3 story house, just for those same reasons. Fiddleman - thanks for reading! I'm glad you enjoyed it! One of the problems with administrators is that they need to find a way to justify their existence. So they come up with standardized curriculums and stuff. And since they no longer (or never did) spend much of their time in classrooms, these curriculums can have little application to reality. Your frustrations help to explain why so many people have turned to home schools. Education can be more personalized, just as it was when people were taught by their parent farmers or went to one-room schoolhouses. Paul...thanks for reading! And thanks for sharing as well! This is an awesome hub and there is indeed something to say about bringing back the concept of the one room school. Students being grouped according to ability, students helping each other, and spending time on a concept until everyone understands it are indeed things missing in the modern classroom. 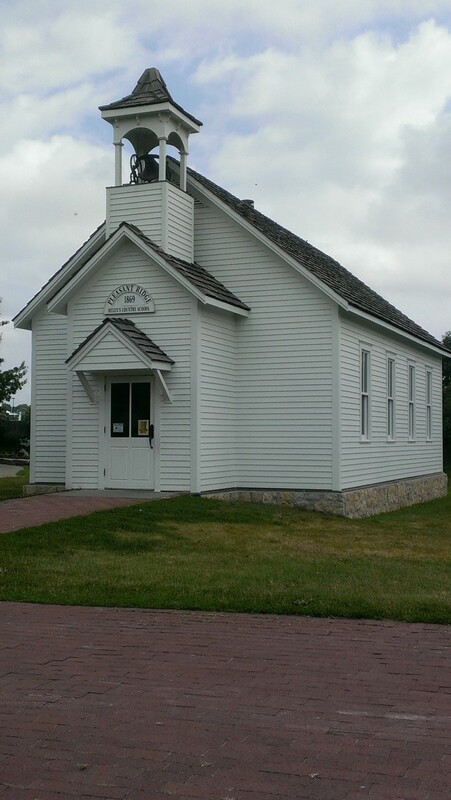 I never attended a one room school house, however I remember being in a two grade elementary classroom in the 50s. We had a total of about 30 kids in the two grades, and when sister was teaching one grade, our grade would be working on homework assignments. There used to be a lot of one room school houses in the rural area of Wisconsin where I lived in the 50s. By the early 60s the one room schools were disbanded and the kids bussed to the schools in the towns and villages. Now, most of the one room school houses have been renovated into homes. Voted up and sharing with followers and on Facebook. Also Pinning. Moonlake...thank you so much for reading! I am hoping that ones day I'll have my school! I went to a one room school in Sandy Valley, Nev. Your ideas are great. Enjoyed reading your hub. I hope you get your one room school. Right now I have 26 kids in my AP Psych classes. There is very little personal attention I can give them. Sad. You've touched on some of the biggest problems our school system has faced for too many years. Schools and classes are too large. Age-segregation is shameful. Blocking children from being able to learn by requiring so many to follow the same curriculum. Focusing on self-worth, diversity, and entertainment above the needed academic and life lessons that kids need in order to be satisfied and productive adults. Many meetings, lots of talk, yet school systems overriding the values that parents have wanted for their families. And more… What is done with taxpayer funds for educating children in our country is criminal! It is so sad to hear from teachers who are doing the best they can in a system that does not support them or the students in ways that result in success. Bravo to those who work hard and achieve successes in spite of the circumstances, but I pity them as well, for I know their heart beats for the excellence that should be. Justateacher, this beautiful hub almost brought tears to my eyes. You expressed so well the problem with much of modern education, and the way it could be .. so much simpler and so much more practical. This is the way I try to teach, in spite of the obstacles ... until they understand ... exactly! This inspired me to keep going in what I am trying to accomplish in my classroom. Thank you and blessings! The biggest reason I have not done this yet is due to funding! If I had the money it would have already been done! Kalena - if I could make this a reality I would. This summer I am attempting in a small way to make it happen - I am starting a "summer school" program for children in prek through 2nd grade. My youngest student is four and gifted, already working at an early 2nd grade level - my oldest is a nine year old working at a 1st grade level. I will teach as my grandmother taught - at least for the summer! I'm a teacher, too. I hate how all the creativity has been taken out of it. It's amazing how you don't have much flexibility even though you know a better way to reach your students. You spend most of your waking hours with them. 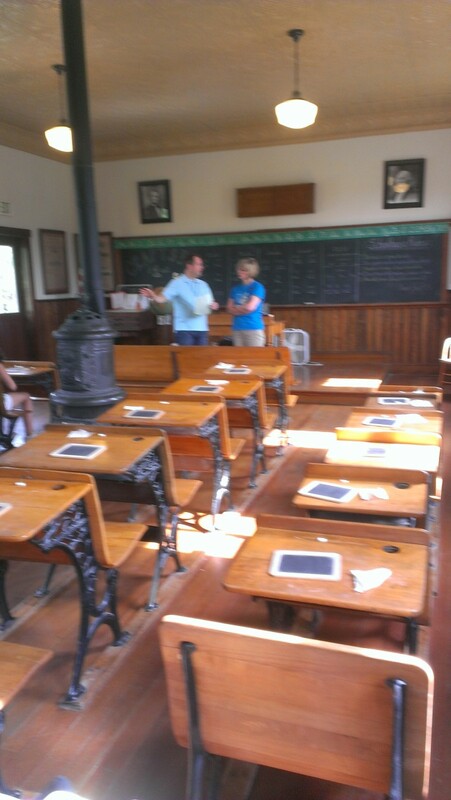 Great hub - my parents were in one-room schoolhouses and they are amazing people. I've long since thought that we need to go back to the "neighborhood" school, find a house, and have nearby kids go to school there. You will be one of the first I call to come and work at a school run by those in the know...the teachers...there are many teachers I know that can much better than any one of the politicians that set the policies we must follow! When you open that school, call me! I'd be more than happy to join. It can be frustrating; the curriculum dictated by those who have no clue, the evaluations given by those who have no clue, the salaries cut by those who have not clue..... Don't get me started! We can forge ahead, only in knowing that we, as teachers do make, difference in the lives of many students. Too bad that these differences can't always be "measurable", but we know, and that's what keeps us walking through those doors each and every day! Keep up the good work and know that you are not alone in your frustrations or in your love of teaching! Thank you for your comments barranca! My mother taught in a one room schoolhouse in the middle of the sandhills of Nebraska. I have now been teaching 23 years as a second career. I share a lot of your idealism even today. Each year I return to teach it is going to be the best year. It is sad to me that education is always first on the financial chopping block. Yet, the majority have to vote on a ballot to give more money to the schools. Something is very wrong with the way our country treats education. Maybe it's the concept that those who are less educated are easier to control. Teaching at a community college I am amazed that some kids were allowed to graduate high school. The current methods aren't working and we've fallen behind. Beautiful hub! Voted up! Practicalmommy - we can do this together! We will find the funds somewhere - after all this is my DREAM world! Frank - I always welcome your comments, whether you agree with me or not. Although I think there is some good for children being in the same age group, as a special education teacher I often have groups of children from several grades working at the same skill level and it is amazing to see how the older children grow when they can teach the concept to the younger one. "We must allow the past to stay there and allow today's diversity take the new teachers into a whole new world of teaching"
Except they're not teaching what our children need to know. They're teaching left wing idealism...like diversity. Diversity ultimately means divided, and a divided America is a weak America. For instance, all the illegals who cannot (or will not!) speak English are condemned to menial jobs. And those who the left herd into ghettos and and placate with largess will never take their proper place in society. We need unity, not diversity. Be an American first, and then celebrate your heritage at a yearly festival. And get rid of the hyphenated nonsense. I would join your cause in a heartbeat if I had the funds to help out! While I loved teaching, I did not like the 'rules' I had to follow in regards to curriculum. Why did I have to force a young student to learn advanced writing skills when she could barely read and write at grade level? I would have rather spent extra time with her on the skills she needed after she left school rather than what was going to be on the state test. What is on the test is not what is in real life, where students need to express themselves clearly on job applications, college applications, letters, menus, books, etc (real life writing) and not about whether or not to have school uniforms (for the millionth time!). Down with standardized testing and the non-teachers who create such tests! Sigh. Sorry for the rant! I love your grandmother's story. Perhaps someday we will return to our roots. I love your school! The closest thing I have seen to your dream is the public Montessori charter school my daughter attends. Every child works at his own level, but not perfect due to standardized testing and the baggage that comes with that nightmare. Thank you for this awesome Hub! Voted UP. I agree with so many. J.J. ROUSSEAU went beyond his time and wrote 'Emile' in 1762, where he states that the kid should be formed completely, away from Society and its rules set. An Utopic reasoning, but was the starter of the new Pedagogical System. When I was a kid, Geography was taught at the same level as Math... nowadays, when a plotting is required in any part of the world..it becomes second nature(check my last hub). The system reminds me of Pynk Floyd's Video clip, "all in all... we are another brick in the wall." We have seen many teachers wanted to change the rules...but in order to keep their jobs, they have to abide by the 'rules'. Thanks Justateacher, and your grandma story was a sweet one. Please start it soon, the children are dying of boredom in public schools where all of their creativity is discouraged so they become frustrated and hate to learn! As they say, "You hit the nail on the head". When our schools used to turn out educated children, they were the same small neighborhood and small town schools you support. The parents and teachers worked hand in hand, making sure the schools functioned, and they ran their own schools. There were no Washington dictates. It was when schools consolidated and became huge, impersonal affairs run by 'professionals' that they began to fail. Today's schools are more about indoctrination than they are about learning skills. I hope to make this dream come true...I might have to move to make it happen, but somehow I hope to make it happen. Thanks to all for the encouragement! The problem with your goal - you have the money to open your school, but to get accredited for your students to move on to higher levels of learning, you have to do what the other schools do, according to the government. All your goals are realistic and well thought out. Then the government comes into play, and it gets all messed up! Can't win to lose, it seems. Best idea for achieving your goal - and the goals are good ones too- is to move to a place that wants to improve their children's education vs. following rules that are set in stone, whether they make sense for the current situation or not. hush4444 - If things work out and I can ever get the funding, I will have my school. Pollyannalana - You are right...it makes too much sense for the government - state or federal - to fund a school such as this...but in my dreamland, I will somehow get the private funding I need to do something like this.. I don't have the least hope you will get your school. We do nothing that makes sense as you already know and we may as well be in a communist country, come to think of it, maybe we are. Voted up. I wish my kids could go to your ideal school - it sounds wonderful. I truly hope it becomes a reality. Thank you.